Too legit. Too legit to quit. A veces no se trata de empezar desde cero, sino de revisar diseños anteriores y simplemente mejorarlos. El New Standard es sencillez en puro estado con un pequeño toque. Ahora nuevo y mejorado. Brazos anchos y cojines del respaldo acogedores se unen gracias a sus proporciones acorde y sus piernas a juego. Disponible en cuatro telas diferentes, dos tipos de pieles y dos acabados distintos para las patas y todo un despliegue de formas para cubrir cualquier espacio. Consigue la colección entera New Standard Collection. We didn’t design our first upholstered piece until Blu Dot was seven or eight years old. 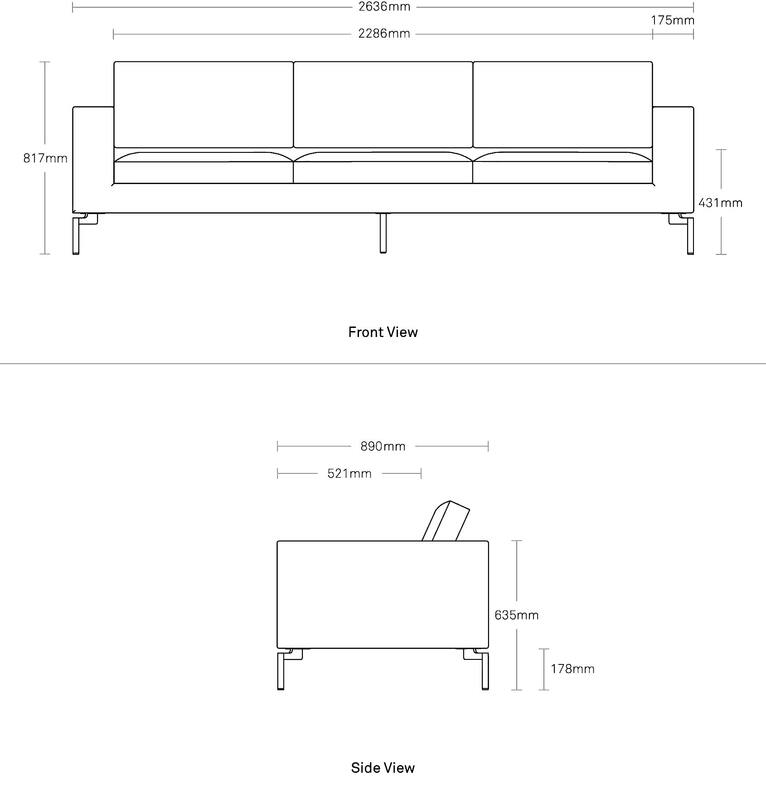 Designing sofas is different than designing most other things. It can often be less about new ideas and clever solutions and more about making beautiful forms with a welcoming sit – comfortable sculpture. 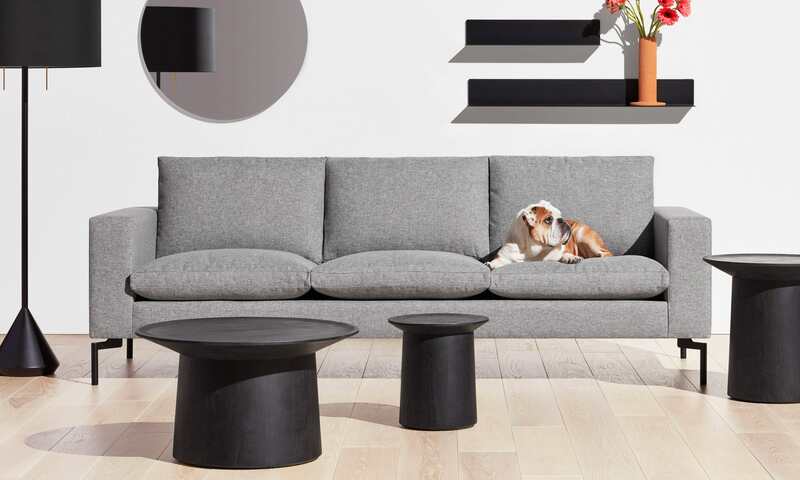 New Standard is definitely that - nicely proportioned with carefully crafted cushions that have surprising comfort. And the sweet little leg on this sofa doesn’t just look cool. It was designed this way because it is always hard to attach a leg cleanly and directly at the outside corner of a sofa, as all the fabric comes together at that point. That’s why New Standard’s legs attach to the frame inboard and appear to “float” at the corners. It’s always a bonus when solving a practical problem leads us to an interesting aesthetic detail.